In april 1967 the Sonic Arts Group scandalized the Brussels audience with a series of avant-garde concerts at the Palace of Fine Arts in Brussels. The Sonic Arts Group (or Union) was a young group made out back then unknown composers, but nowaday’s legends Robert Ashley, David Behrman, Gordon Mumma and Alvin Lucier. 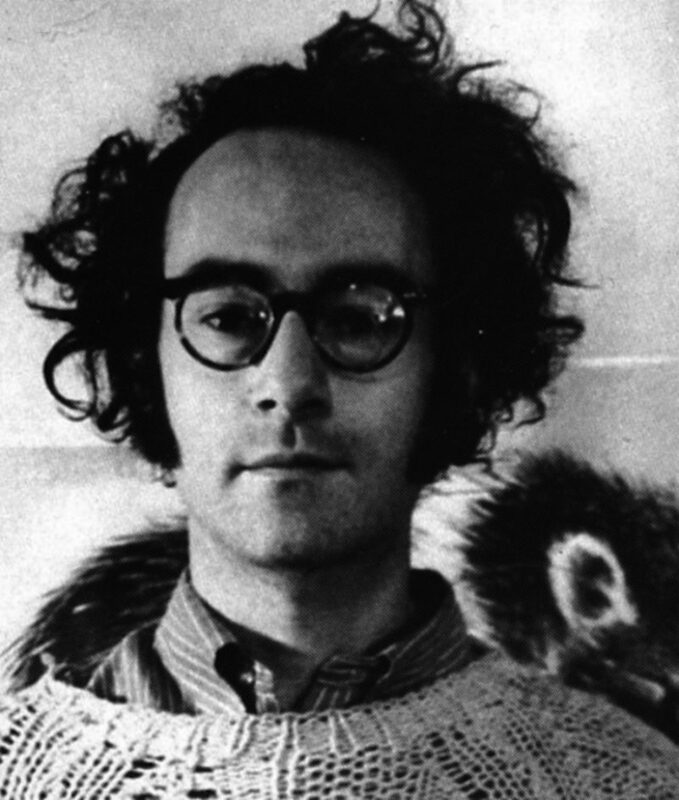 50 years later, their influence on the contemporary avant-garde is beyond any doubt, so KRAAK and BEAF celebrate the birthday of this happening with a concert by David Behrman. 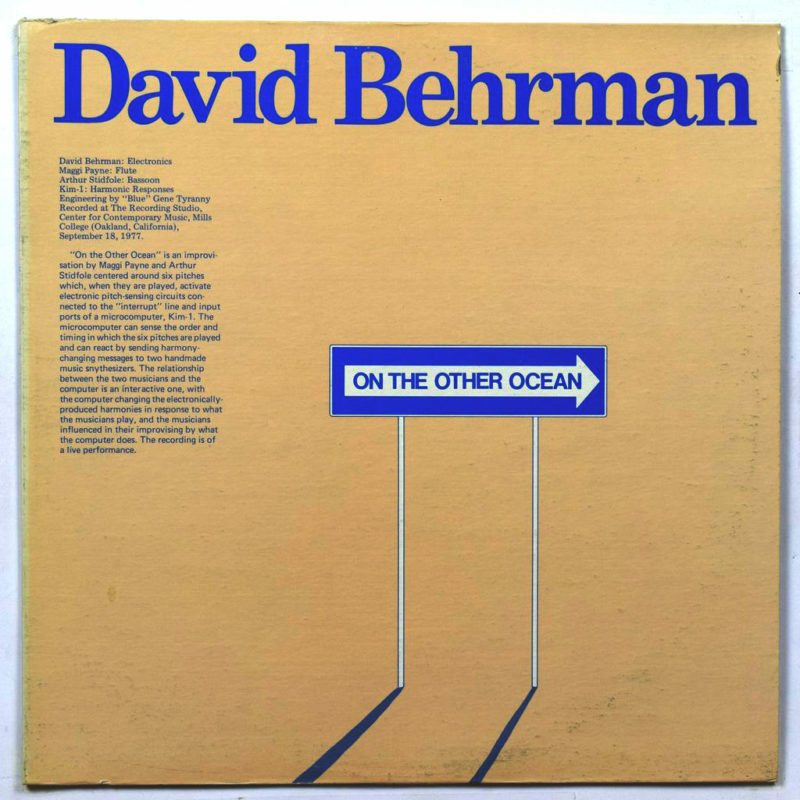 David Behrman, born 1937 to American parents in Austria, was friends with Frederic Rzewski and Christian Wolff during his Harvard days. In 1959 he studied with Karlheinz Stockhausen. In the 60’s he started working as a producer for Columbia Masterworks on the influential Music Of Our Time series. During the 70’s he was composer / performer for the influential Merce Cunningham Dance Company and was a regular assistant for John Cage. In 1959 he shortly lived in Brussels, working as an assistant for Henri Pousseur and later made brief visits to the Pousseur family in the early Sixties. This relationship with Pousseur resulted among other things in a composition called Ricercar, composed in New York in 1960-61. In Brussels he would sometimes visit the Spanish Restaurant where artists went after concerts organised by Pousseur tohave cheap food and litres of wine, and where Steve Reich got his inspiration for clapping music when during eating and alcohol marinating he was watching the flamenco dancers entertaining the restaurant guests. In a career now spanning almost 60 years, Behrman’s oeuvre of multi-media installations, compositions, performances, gallery works, production et al spans a broad spectrum. From Canons, a piece for piano and percussion dating from 1959 composed during Karlheinz Stockhausen’s composition class at Darmstadt, to his meditative On The Other Ocean, used by aforementioned Bekaert as a “stress relief tape” when he was traveling as a journalist through troubled conflict areas. To the little-known yet amusing pop pastiches of She’s-A-Wild, a band with Paul DeMarinis, Terri Hanlon, Fern Friedman and Anne Klingensmith. From his politically inspired works My Dear Siegfried (2005) and A New Team Takes Over (1969), to his very contemporary and fresh sounding A Traveller’s Dream Journal (1988-1990) on which he collaborated with German Krautrock figures Clara Mondshine and Jakino. a clear emphasis on interactive realtime relationships with (imaginative) performers. Furthermore Behrman sports an outstanding feel for beautiful harmonics, which is even present in his more abstract or more abrasive works. Many times these harmonies are presented as pure distilled synthesized sounds — simple frequency modulations, simple vibratos, basic square waves — which at first misleadingly may sound very easy, but with every hearing transform into deeper meanings. This aesthetic quality makes listening to his music a pure joy, both on the first, the second and the umpteenth turn, a special quality that is not always met in the hermetic academic world. Maybe Behrman adhered this attention for harmonics and listen-ing joy during his years working as a producer for Columbia Masterworks? 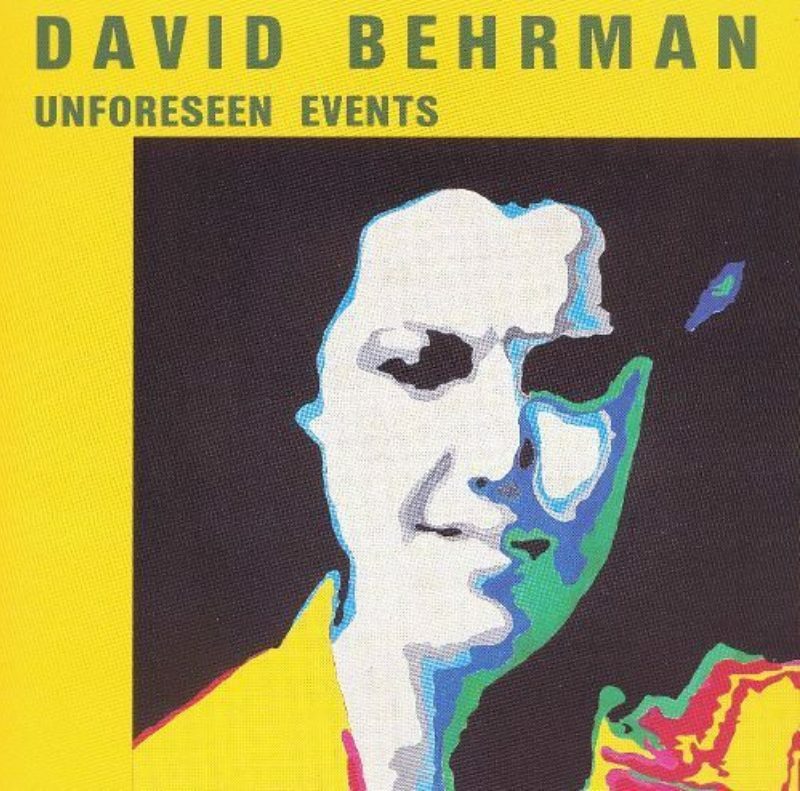 Behrman’s peers Joel Chadabe, Paul DeMarinis, et al; and his fellow Sonic Arts Union members Robert Ashley, Alvin Lucier and Gordon Mumma all underwent a parallel growth from a more classic, conceptual academic lingo to a more personal and unique pallet of colours and idiosyncratic styles. Outgrowing a limiting and dry conceptualism, reacting against an all too classical, sometimes even Eurocentric intellectual environment, over the decades building up a new vocabulary that can be interpreted as modern day Americana. on. Instead his whole career focuses more on the practical; on intentional interaction with humans either or with machines. Alvin Lucier mentions in his Music 109 book, that Behrman’s “main and firm belief is in the artistic strength of the interaction”. is a nuisance to a serious creation of modern music. Many a time one goes lightheaded about creating a bleep and a stutter here and there, blurring the purpose except and only for the final result to be very sensational, simply eventful and oddly mimetic. This is an almost record collector approach I dislike and I seriously consider a nuisance for a further development of a new canon of music. I wouldn’t go too much in depth on this, but just with studying Behrman’s use of hardand software, his constant updating and reconfiguring, his emphasis on the interaction and creatively applying the effect, I noticed that in his very own world, the dialogue with techniques sprouts from a necessity of clear meanings and intentional composition. Out of his interest in the interaction he found a path to make his music more deliberate, challenging and above all more humane and personal. In his words, he decided to stop asking favours to ensemble players et al, and decided to built tools to create a more precise sound world. Yet I guess nowadays those favours are asked a lot by my peers and young musicians exactly to those ensemble players, or more correctly to companies like Doepfer, Yamaha, Elektron and alike, and on a larger scale to the overtly present references and influences. To a point where one considers all those tools and data as being more important than the actual composer, the actual self. It’s almost that the person is merely there to fulfill the machines’ and the references’ favours. It makes one wonder... Because if we keep our thoughts and dedication merely to just these predefined concepts and processes, and if we just run with it and use certain tools as mere gadgets; our music eventually will stop growing. to a diverse yet unified creative world. A piece for prepared piano composed after Behrman had returned to New York following a year in Europe. It has the flexible form back then very much favoured by European composers, and also reflects the work of Henry Cowell and John Cage. Behrman developed a changeable score using heavy paper and posterboard to spring various exe- cutional possibilities for the performer. It’s safe to say that this technique preceded his later use of hard- and soft- ware to insert (un)deliberate changes. It’s a heart-breaking simple juxtaposition of field recordings, ukulele strumming and sparse electronic sound, recorded at Stony Point where back then there was an artist colony frequented by David Tudor, John Cage, Stan Vanderbeek, et al. Around the same time, two other favourite composers of mine, Jacques Bekaert (A Summer Day At Stony Point, and Mon Petit Album) and “Blue” Gene Tyranny (Country Boy Country Dog) made similar compositions. Bekaert even collected his field recordings at the same spot, Stony Point. Or maybe just used Behrman’s recordings, since they sound very similar to each other. For the full record, Behrman performs electronics on those two mentioned Bekaert’s pieces. how effective this simple style of observation and juxtaposition still can be. Maybe it’s because it involves the reconfiguration of a multi-dimensional sound world into a mono either stereo wave, thus triggering excitement in the brain nonetheless. out to the Antarctic and throwing an expensive microphone in an iceberg. Or before field recordists travel far away to record almost extinct animals, making a valid addition to their imminent extinction. Just like most of his peers, Behrman sported a political awareness and sometimes felt a natural urge to clearly illustrate this in his works. A new team... is a rough and alienating performance work based on recordings of press conferences and speeches by the Nixon administration. These recordings were distorted using a few handmade synthesizer modules while performers would mimic the politicians, and mannequin dolls by the artist Sari Dienes with the heads replaced by loudspeakers were placed in the audience. A New Team... is a beauty of disagreeing and distress, something that for instance Paul DeMarinis also applied in a few of his own works. This is an example of all-over music. Many of the elements are present during most of the piece yet there’s still a clear direction in the composition, a style Behrman used a lot in many of his works. CD edition, that this is in fact a collaboration with Walter Bachauer aka Clara Mondshine. About fifteen years ago, Bachauer’s rhythmic Kraut tunes would regularly accompany me on the Walkman while walking to university. This composition is another fine example of Behrman’s lust for interaction, since it’s very clear that the dialogue with Bachauer makes the piece’ general atmosphere a bit different — rhythmic structures, melody clusters, ... — but not all too different. Unforeseen Events is a grand collection of software-based music and ideas. I think I should call it Behrman’s Magnum Opus since the collection feels like an anthology of his technical and creative pallet. of the oppressive direct cause and effect. Most of the software interventions do not always create an imminent perceptible result. Alvin Lucier describes it aptly, “as you listen to Behrman’s pieces you only get glimmers of directness; most of the time the relationships are interrupted and distant and therefore engage the listener in tantalizing ways”.